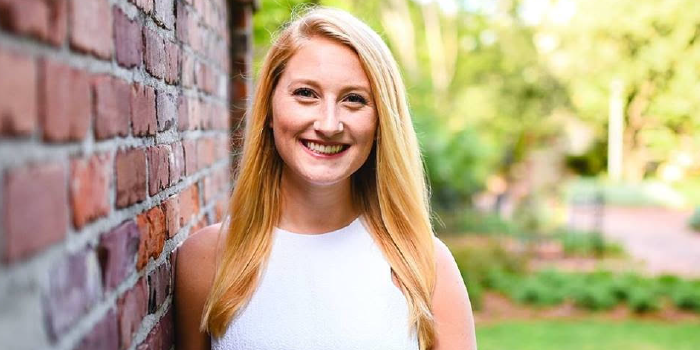 Katherine Kacsur (JD ’20) talks about her summer position at the Environmental Protection Agency (EPA) and her decision to attend Wake Forest School of Law. Yes. I am a summer associate for the Environmental Protection Agency (EPA) at the Region 2 Office of Regional Counsel in New York, New York. More specifically, I am working on cleaning up Superfund sites (land that has been contaminated by hazardous chemicals). My interest in in environmental law stems from my undergraduate studies in environmental science. I am a science geek at heart, but I often feel like there is a disconnect between science and the law. I want to help bridge this divide by translating scientific findings and progress into meaningful change via the law. I usually come in and begin working on whatever project I currently have going on. Projects usually involve me doing legal research, writing a memo on a certain topic, or drafting legal documents. If there is a meeting about one of the projects I have, I will get to attend and take notes. Meetings often involve people from various departments of the EPA – scientists, risk management specialists, and other attorneys – so it is always interesting getting to work with them. I decided to attend Wake Forest Law, because I wanted a small school atmosphere that would still provide me with a plethora of opportunities once I graduated. The smaller class sizes enable me to get personalized help and attention, but I still get to say that I attend a school that is well-known and respected across the country. The Wake Forest community is extremely supportive and close-knit. I always feel like I can go to any one of my classmates or professors with any problem that I may have, and that I can get the advice or support I need from them. On the flip side, I love being there for my classmates and helping them succeed. I am involved with the Student Bar Association (SBA), the Environmental Law Society, and the American Inn of Courts. I am also the communications director for the Pro Bono Board and am involved in several pro bono project initiatives, including the Wills Project and the Prison Letters Project. All of these opportunities provide a pathway for me to get to know my professors and students in other classes. They also enable me to get hands-on experience in working with the law and with people, both of which are important to the legal profession. In my spare time, I like to hike, cycle, attend Wake Forest sporting events, and go to breweries.